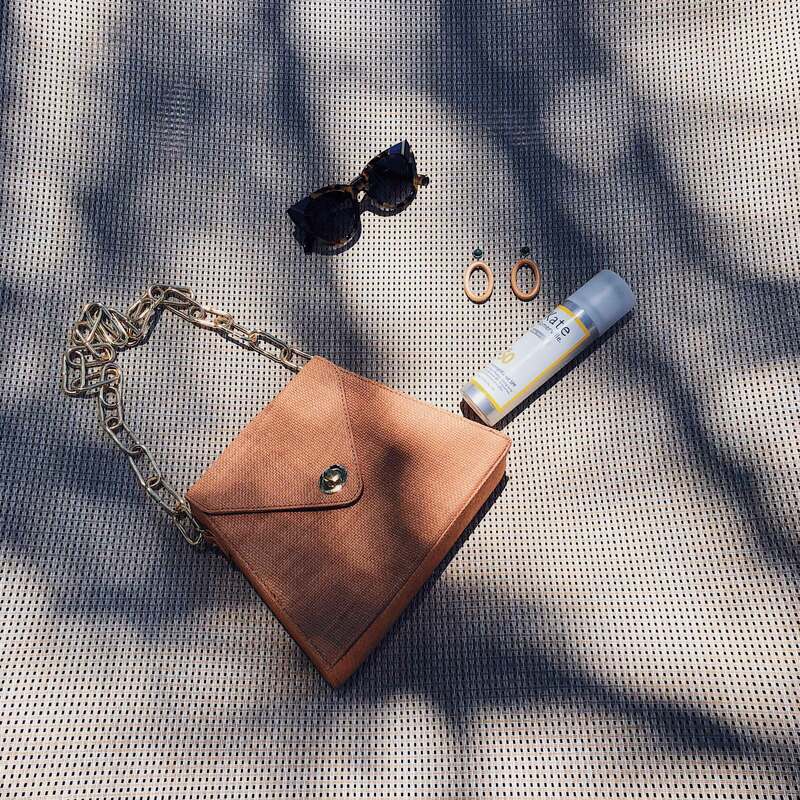 Have you tried the SPF setting spray as a face sunscreen? Discover the Best SPF setting sprays: makeup setting spray with Kate Somerville, organic sunscreen spray with Coola, face setting mist with Supergoop. As a Los Angeles resident, I am a UV/UVA freak and I really value the importance of wearing sunscreens. However, to be really effective, we need to apply sunscreen 20 min before being exposed and also every two hours. So for those who are wearing makeup, reapplying sunscreens can definitely be a nightmare. During my photo shoots or any time I am going for a lunch outside or any outdoor activities, I am using an SPF makeup setting sprays which really helps to protect my skin. I have round up my favorite weightless SPF sprays full of antioxidants, moisturizers, and soothing ingredients for beating the heat. Plus these SPF setting mists have a format which can easily stash in your bag on summer days. Note, I have a combination and sensitive skin and I can wear these face sunscreens. I love Coola Makeup Setting Mist as the formula is very clean and even with a SPF 30, it really protects my skin. Moreover, I used several Coola setting sprays for more than a year on many travels (Hawaii, Cuba, Los Angeles), and I was never disappointed. This product is formulated without oxybenzone. It is hypoallergenic, vegan, noncomedogenic, TSA-friendly, and cruelty-free. First, the scent of this mist is really refreshing and very protective (SPF 50). 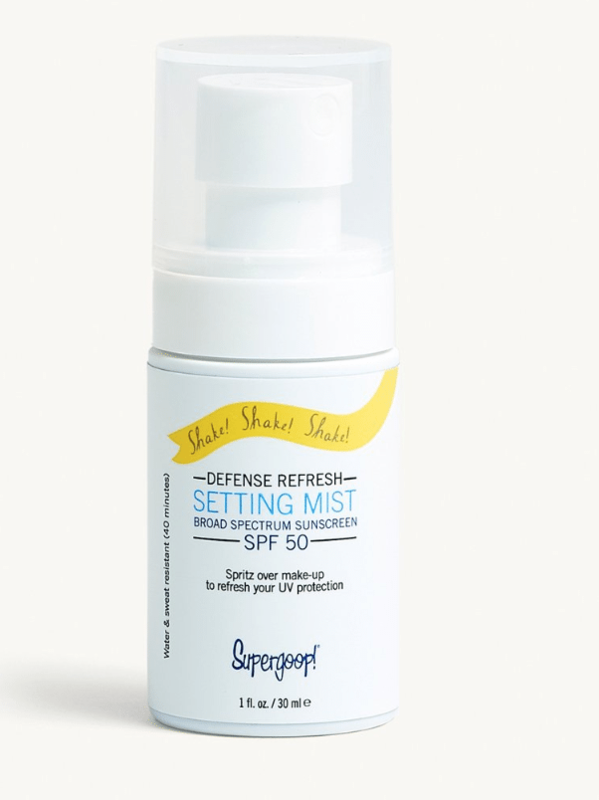 I have the small version of this Supergoop SPF setting mist which perfectly fits my small handbags. This SPF spray is cruelty-free, clinically tested and does not contain synthetic fragrance or oxybenzone. I love the very fine texture of this aerosol makeup setting spray from Kate Somerville. It dries down quickly to instantly set makeup, reduce shine, provide a matte finish and soft-focus effect. In addition, it contains hyaluronic acid to hydrate the skin. Although the formula does not contain parabens, sulfates or phthalates, the mist contains oxybenzone (chemical sunscreen) and some silicone powder to soften the appearance of lines and wrinkles. Out of these three products, this SPF spray is the best product to set up my makeup for a photo shoot while protecting the skin. However, the formula is less clean than Coola and Supergoop. Ooh, I love the idea of an SPF setting spray!! Definitely want to try these out for Summer, they sound like an awesome beauty addition! Great picks! I love that Kate Somerville setting spray! it’s a godsend in the summer! Such a timely post! I’ve been wanting to try this coola product!! I’ve heard of these brands and they always have good reviews. I should try them. Ok, let’s face it, I’m a spf setting spray junkie to be honest. With or without makeup that is. For my photo shoots I obviously have makeup to make it easier for the photographer so they don’t have to photoshop me pretty, haha. 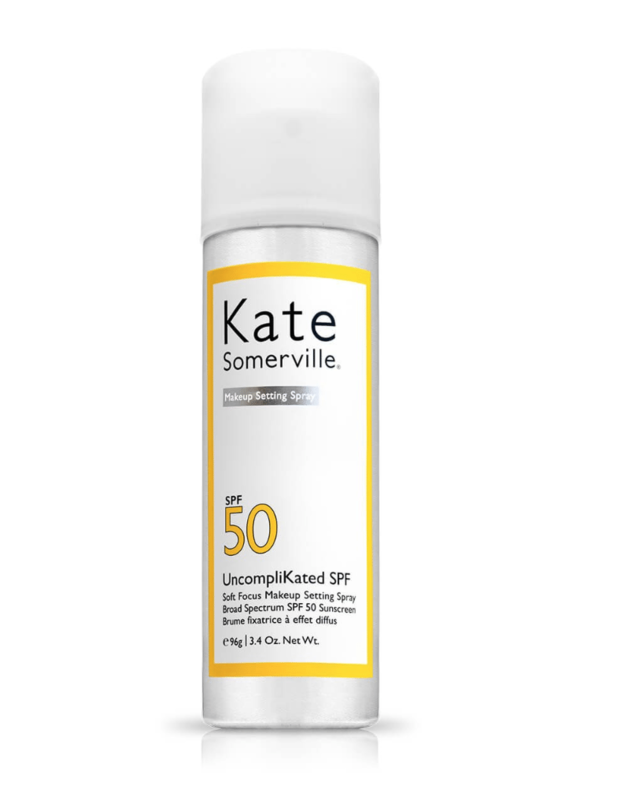 I haven’t tried the Kate Somerwille setting spray however and would love to! Thanks for the tip! Welcome to the club Thomas!